To report a new collaboration or update a listed collaboration's information, please contact us. View two-minute videos about eight key pieces of the early childhood programs/system. Includes a fact sheet for each video topic and tips for how to use the videos. Two-minute video describing early learning systems building from Build Initiative. Developed by the National Center for Children in Poverty. Toolkit includes guides for engaging stakeholders, programs and services mapping, demographic and community data, and strategic planning. Report and case studies. Published in 2018 partnership with COFI Community Organizing and Family Issues. 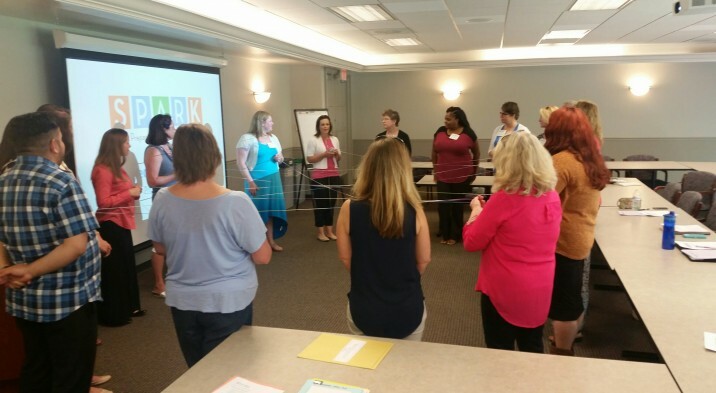 Explore professional development opportunities for early childhood professionals in Illinois. Includes opportunities to learn more about data and program improvement. OECD Suspension and Expulsion Resources. “Providing a comprehensive picture of early childhood services in Illinois.” Check out their easily accessible data, standard reports, or make a special data request. Email: dthomas3@illinois.edu or call toll free: 877-275-3227. Want to include advocacy in your collaboration work plan? This one-pager is a good place to start. The Independent Sector is a trusted source for more information about nonprofit advocacy and lobbying. Federal regulations permit non-profit organizations to advocate for issues important to them. IAFC’s 2018 Partner Voter Registration toolkit. “The ABLe Change Framework is a systems change approach designed to help communities more effectively address significant social issues affecting children, youth, and families.” Based at Michigan State University. “The Asset-Based Community Development Institute (ABCD) is at the center of a large and growing movement that considers local assets as the primary building blocks of sustainable community development.” Based at DePaul University. Build Initiative helps states, including Illinois, build better comprehensive systems to support early childhood development. Check out Build’s Community Systems Development Toolkit. Sign up for the OECD newsletter. Created in 2006, the Early Learning Council is a public/private partnership focused on coordinating efforts for children and families birth to five. Erikson Institute is an organization that provides graduate programs, research, and policy knowledge to early childhood leaders. Erikson is currently piloting the Early Development Instrument EDI in Illinois.